For nearly 20 years, the logistic experts at ITL Chicago have been providing comprehensive and reliable logistics management services. Our dedication to customer care and speedy and accurate services has allowed us to expand from a 10,000 square foot warehouse to 600,000 square feet of space. 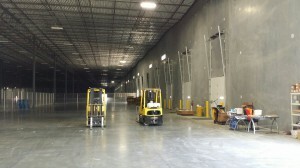 Our philosophy at ITL Chicago is to handle your logistics cycle from A to Z at reasonable rates. At ITL Chicago, we are proactive when it comes to logistics management and we anticipate any problems that may occur during the process and are ready to resolve them without any delay to your transportation process. We have the capabilities and experience to handle any job and any type of cargo from frozen commodities to heavy machinery. For more information on our logistics management services or if you have any questions about individual services, call us today at 630-206-1532. You can also fill out the short form on the right and one of our knowledgeable representatives will respond shortly. Here at ITL Chicago, we offer a variety of logistics management services to cover all of your transportation needs. Our warehouses are conveniently located near rail ways to help with a faster turn around and we provide secured facilities with a variety of conveniences. With our freight consolidation services, you can be assured that your cargo is secured and your shipments monitored. At ITL Chicago, our transportation services consist of an extensive fleet of trucks and consist of complete intermodal and transport drayage service. We also offer load securement to ensure that your cargo is safely blocked and braced using our developed and customized techniques. Last we offer secured parking for when you aren’t ready to transport any of your cargo and our secured parking lots and facilities offer 24/7 camera surveillance and an electric fence with key code entry. If you have any questions on our logistics management services or if you would like more information on our other services, call us today at 630-206-1532. Or simply fill out the quick contact form on the right and we will get back to you shortly.